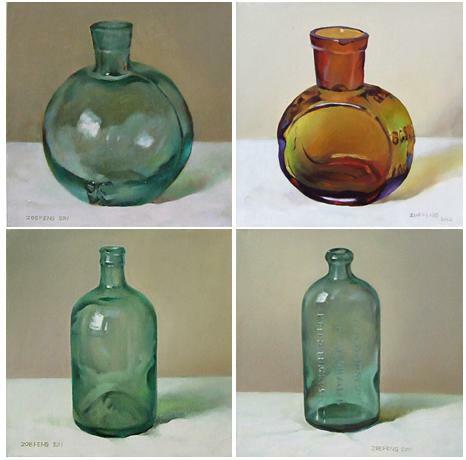 Zoe Feng is a popular oil painting artist who is noted for her amazing oil paintings of glass bottles and vases. 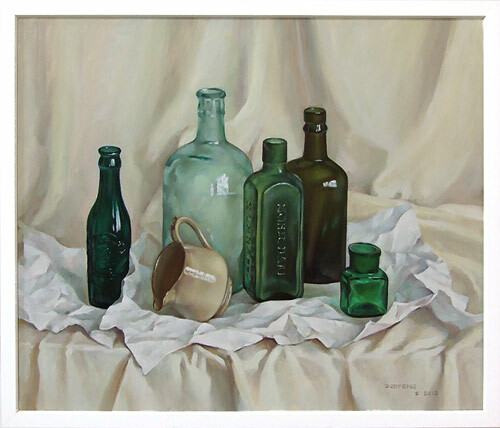 She studied in a Chinese University and earned a degree in graphic designing. 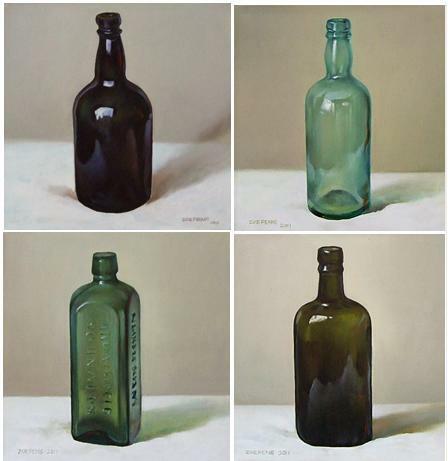 Zoe did an oil painting course for a period of one year. 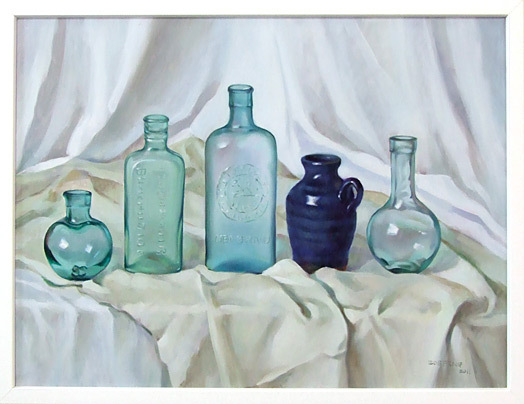 She had a special love for glass beads and glassware during her childhood days. 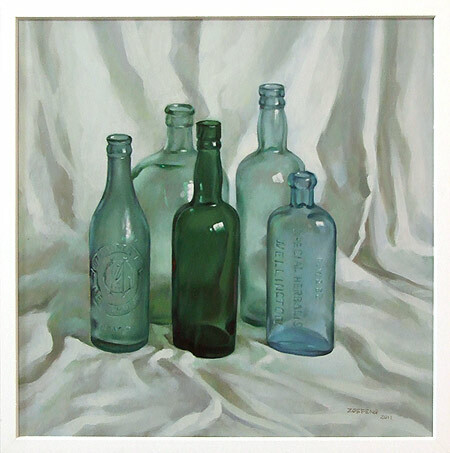 It was this interest that inspired her to paint glass with oil paint on canvas. 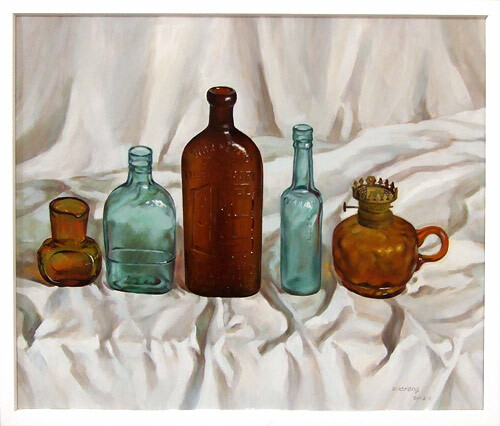 Her hobby encompasses collecting glass bottles and accessories. 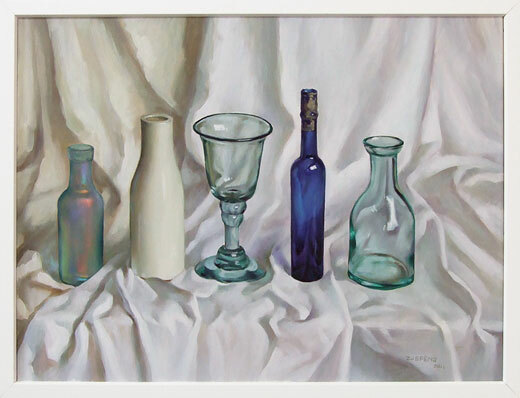 She tried to capture the unique beauty of each glassware.